Tell me readers, what are YOU thankful for? – It can be one thing or many things, it can be people, objects, relationships, etc. There is no limit to this. I would love to come back from my weekend away and read everything all of you have said you are thankful for. Let this be a reminder, what being thankful actually means: Please & relieved, expressing gratitude. I will start this off with what I am thankful for..
Of course the list could go on and on and on.. but it is now your turn.. WHAT ARE YOU THANKFUL FOR? 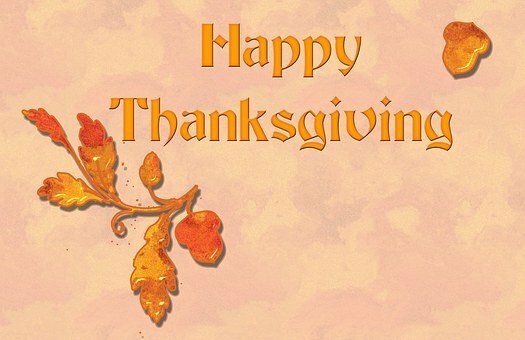 Posted on November 24, 2016 November 24, 2016 Categories challenges/activities, Misc Blog PostTags activity, being thankful, blogger, community, family, friends, happy thanksgiving, health, loved ones, memories, reblog, Thanksgiving, wealth, what are you thankful for21 Comments on Happy Thanksgiving – What are you thankful for?